For the eight-week period ending September 23, 2008, and based on sales at independent stores nationwide. 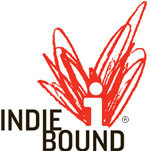 The new "IndieBound Community," which began its successful beta test last month, officially launched today. For the eight week period ending September 9, 2008, and based on sales at hundreds of independent bookstores nationwide. Here's a preview of the October Indie Next List now on its way to ABA member stores in the IndieBound movement. New IndieBound-Inspired Gift Cards Are Here! Abrams Image, an imprint of Harry N. Abrams, Inc., is challenging ABA members to create a few brave new words for the publishing and bookselling industries. Abrams has partnered with IndieBound to create a contest exclusively for ABA member booksellers that celebrates the October release of Addictionary: Brave New Words, compiled by Jim Banister. 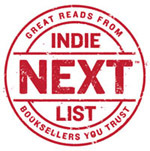 The author's name was incorrectly printed in the October Indie Next List flier for American Lightning: Terror, Mystery, the Birth of Hollywood, and the Crime of the Century, by Howard Blum (Crown). The online version of the October Indie Next List is correct. IndieBound apologizes for this error. With hundreds of users registering during its beta phase, the test of the new "Indie Community" on IndieBound.org has gotten off to a rousing start. Now's the time to stock up on IndieBound shopping bags. From now until September 30, ABA member booksellers will receive a 15 percent discount on both stock and personalized IndieBound bags and on giftwrap ordered from W.G. Ellerkamp. The Indie Community Needs You! This week, the American Booksellers Association is a launching a short-term test of the new "Indie Community" on IndieBound.org and, over the next 10 days, the association needs booksellers to test it out and provide feedback. The mission of the Indie Community is to aid customers in their search for unique, independently owned businesses. By connecting indie-conscious people with local businesses, ABA looks to boost local economies nationwide. The Fall '08 Kids' Next List is now featured on IndieBound.org in a fun, interactive format that makes it easy for consumers to purchase these insightful indie recommendations. For the eight week period ending August 19, 2008, and based on sales at independent bookstores nationwide. The "under-fortyish" community of booksellers and publishers got another taste of IndieBound this week at an event organized by Emerging Leaders NYC. Booksellers from New York-area bookstores, including McNally Jackson, Book Culture, Logos Bookstore, Moravian Bookshop, and the Lower East Side Tenement Museum, met at Flatbush Farm, an independent and locally-focused restaurant in Brooklyn. Several ABA staff members joined the Emerging Leaders to share the latest IndieBound news. Since July, American Booksellers Association staff have been visiting locations around the country to answer questions, share ideas, and help position bookstores to take advantage of IndieBound and all that it has to offer. One such ABA staff member is IndieBound Outreach Liaison Paige Poe, who has traveled from Cleveland, Ohio, to Elizabeth City, North Carolina -- and points in-between -- to spread the word to booksellers about the IndieBound Movement.